Might as well add some pictures in here as well, considering i'm a die-hard Ford guy. ^That's a nice Mustang right there. Reminds me of the FR500 Fastback they did a while back. Dad used to own one of these about 18 years ago which made me want to do this. (06-18-2014 03:30 PM)HeyDayJordan Wrote: [ -> ] Dad used to own one of these about 18 years ago which made me want to do this. That thing is NASTY. It looks like a show car to me to be honest. 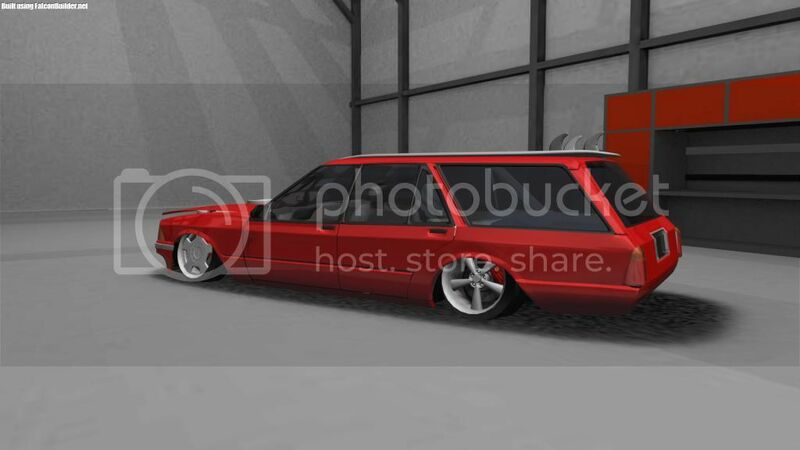 This build was awesome to do, I saw Rob's Gasser Wagon and I got inspired and then I found out there was a Fairlane. I had a crisis, and I couldn't pass it up. 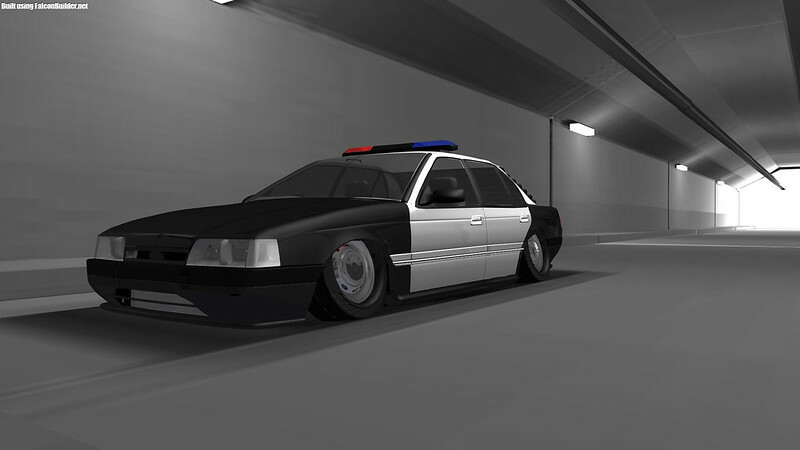 Really getting into cop cars at the minute! 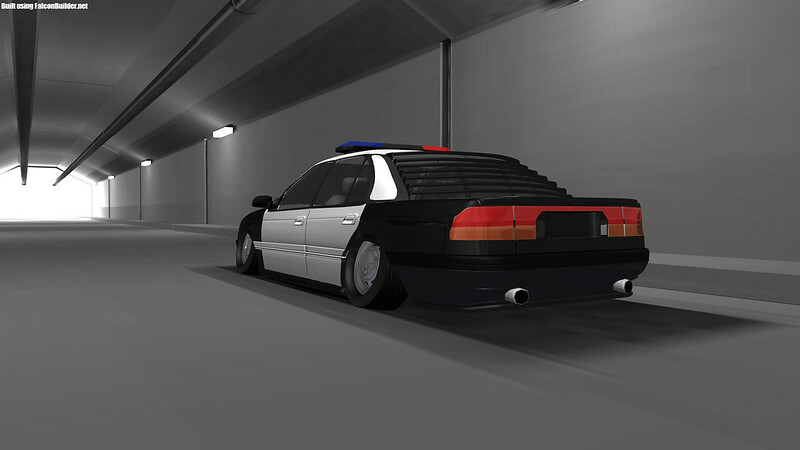 Well I was going to make an XY Falcon Police Car but as I started making it I just wasn't really liking it. 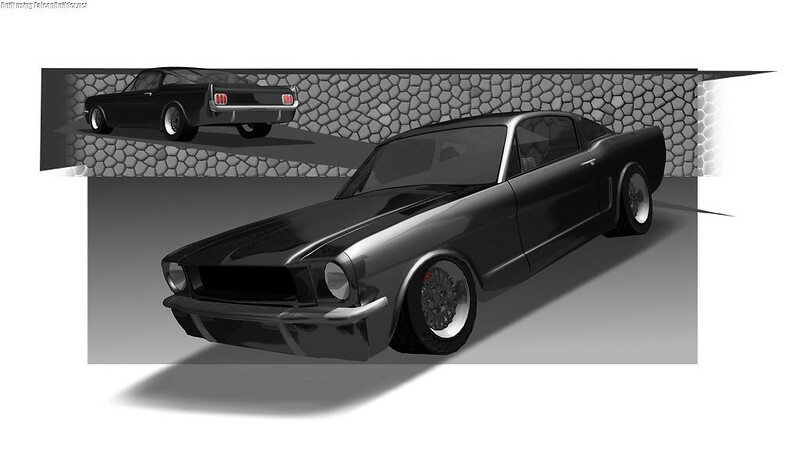 So I decided to go and make some legendary Muscle cars, even by the States standards. First up, the 1970 Ford Falcon XY GTHO Phase III. All restored, all original numbers matching car. Raven Black/Candy Apple two tone. This car when it came out, was the fastest four-door in history. It had figures that, even by today's standards are pretty impressive! 0-60 in 6.5 seconds, with 141M.P.H. limiter. These suckers can sell close to a Million due to less than 100 left, so have your chequebook ready. I tried to get the stripes too but it would glitch through the hood so I took them off. And finally, I have the 1972 Ford Falcon XA GTHO Phase IV. I made this car kinda a replica off of Allan Moffat's Falcon that was set to go racing. Unfortunately this car got canceled at the last minute, and only a handful were produced. One production car was made in Calypso Green Metallic with White guts. Three were produced in Brambles Red for racing, but were abandoned by word of Ford. These cars now a days can fetch close to $500,000. 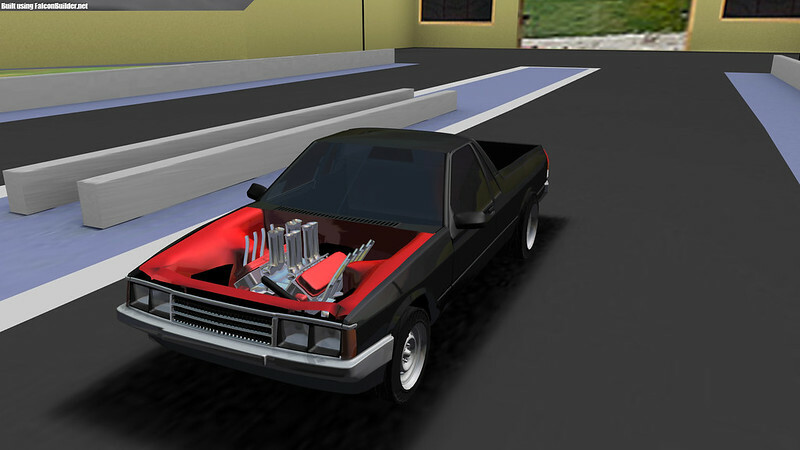 I had to make some things work, so the lights aren't the XA lights because it wouldn't work with the fenders, and the hood wouldn't work with the XA fenders so it has XB fenders with XC lights. Close enough though.